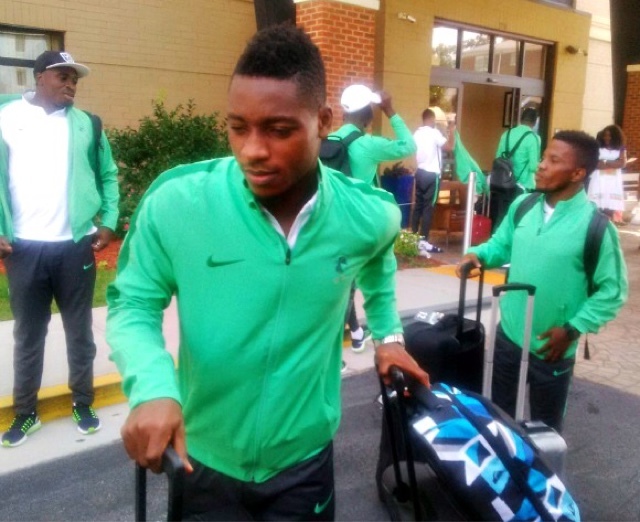 Nigeria Olympic Team Stranded In Atlanta! Nigeria Olympic team remain stranded in Atlanta, Georgia, Wednesday night after the chartered flight to ferry them to Brazil for Rio 2016 was discovered to be too small to carry the entire squad. The team were at the airport alright and looked set to put behind them their long-drawn saga concerning their departure for the Olympics from their training base, only for them to eventually be told to head back to their hotel. Team officials have now said they will fly out Thursday morning, just as unconfirmed reports suggested that the Presidency may have stepped into this ever-unfolding drama to ensure the country are not walked over in their opening match early Friday morning by Japan. This is the fourth time the team have cancelled their departure from the USA. They now have less than 24 hours before the Japan game and they are yet to land at the match venue.